Interruptions during the working day not only take up your time, they also have a secondary impact – in that they cost valuable minutes as you get back into what you were doing before the interruption. Some workplace interruptions may be unavoidable, but many are not and you shouldn’t feel guilty about reducing your exposure to interruptions as the result will be an increase in your overall efficiency. Various strategies can help reduce the time lost to interruptions. If you have secretarial services, you could put a more effective screening system in place so that more messages are taken. This could also be used to inform callers of what time you are available, enabling you to protect yourself from distractions at times you set aside for concentrated work. When planning a regime like this aim to be as generous with your time as is realistic, or you may find a queue outside your door ahead of each of your ‘available’ slots. In order to maintain a good working relationship with your colleagues it is important that you do have time for them. However, having time doesn’t necessarily mean at the moment they walk into your workspace. The key to handling interruptions is to develop the ability to weigh up precisely what the request represents as a demand on your time and, if necessary, to arrange a future appointment rather than tackling it on the spot. Remember, you are responsible for your own schedule. If you suffer from a lot of unscheduled visits from colleagues, you need to develop a clear but polite way of communicating when you are too busy to be interrupted. If you have already completed a time log then you may be aware of the common interruptions that can bring your work to a temporary halt. You should be aware of: the type of interruption, who or what caused it and how much time it took up. How much time did you spend dealing with interruptions that week? What proportion of them were important? What proportion of them were unavoidable? What were the main causes? Do they conform to a recognizable pattern? Once you have a clear idea of what causes the interruptions you can begin to develop tactics to control them. If the telephone is a major source of interruptions then try using your voicemail to screen calls or ask colleagues to handle queries when you are busy, on the understanding that you will reciprocate. People who are very sociable may distract others with inappropriate socializing. This can be disruptive and is complicated by the fact that sociable people tend to take criticism personally. If you are interrupted at your workspace then using body language can make it clear that you expect the interruption to be as brief as possible. For example, by turning your head but not your whole body towards a visitor, your arm and shoulder will form a natural barrier, which will discourage a lengthy conversation. You could also avoid asking unexpected visitors to sit down, get to your feet and remain standing until they have gone. Give an indication of how long you expect a meeting to last and make it clear that you must get on with other tasks at this time. Apart from those times when you want to encourage others to step into your office, try keeping your door closed. It won’t stop anybody who has an important request but it will reduce the number of non-important or purely social interruptions. Try making three signs, the first saying ‘Available’ the second ‘Busy’ and the third ‘Please Don’t Disturb’. If you have colleagues who tend to be very talkative, then arrange to visit their workspace, rather than have them coming to you. This makes it much easier for you to end the meeting without facing the difficult task of getting them to leave. If talkative colleagues are coming to you for a meeting, schedule this ahead of another commitment or a fixed break, so that there is a compelling reason for getting on with the business at hand. Add some polite winding up statements to your repertoire, try to include references to work and time constraints. For example saying, “Sorry George, I’ve got to crack on, as this report has to be finished by lunch-time” is much better than saying “I’ve got work to do”. Let your colleagues know that you are trying to manage your time more effectively, and inform them of some of your chosen tactics. This won’t stop all interruptions, but at least they are likely to understand why you are less responsive to them. Whatever approach you adopt to dealing with interruptions, it is important to be consistent. If you frequently change your response to interruptions it will give others the impression that you can be persuaded to change your mind and this will undermine your attempts to gain control of your time. Some workplace interruptions may be unavoidable, but if you suffer from a lot of unscheduled visits from colleagues, you need to develop a clear but polite way of communicating when you are too busy to be interrupted. These four simple interruption screens could help you perform more efficiently. Your effectiveness and success depends on your ability to apply and implement such screens that enable you to be productive without alienating your customers, team members or colleagues. The main purpose of the interruption screen is to give you the opportunity to assess the level of urgency of each interruption and then allow you to prioritize it within your workload. Plan how your use your resources. If you are the only person in your team who has the ability or authority to answer key questions related to a particular project or task, then you need to cut down the number of such instances. The most effective way to achieve this is to delegate the authority to someone else. That person needs to be someone you trust, that is able to handle the responsibility and is equipped with sufficient knowledge to make informed decisions. Create policies and procedures that answer common questions. The time you invest in defining and producing such documentation will effectively remove you from the hot seat as the only person who can provide answers. You no longer have to keep on repeating yourself. All you need to do is ensure that every one in your team knows that the policies exist and that they are readily available to who ever needs them. Anticipate and Review the unexpected. A key part of any manager’s role is to offer support and guidance to their team when unforeseen problems or issues arise. This means that at some point in the day you will be interrupted because your knowledge and experience are required to maintain the productivity of your team. Anticipate by setting the expectation that when you are interrupted you expected that individual to come to you with all the facts. This way you a void multiple interruptions as facts are gathered and you can make an Informed decision. Once the issue has been resolved ensure that the lessons’ learnt are identified and recorded so that procedures can be updated. Plan the best way for you to handle known intrusions. Emails, tweets, LinkedIn, phone calls, text and meetings are just some of these known intrusions that occur all day every day. You cant ignore them, but you can plan you work schedule so that you deal with them in a way that retains your productivity. Don’t be a slave to the technology set aside an allocated time slot where you are protected from distractions and interruptions. You know your organization and role best so whether you decide to set your mobile to silent, let calls go to voicemail, or put a notify message on your email is a personal choice that suits your circumstance. You need to find what works best for you and then create a plan that keeps on track. The key to successfully implementing such behaviors is your ability to correctly identify the biggest source of your interruptions. Use this free time management checklist which is part of our free online library of management resources to help you identify and manage them. 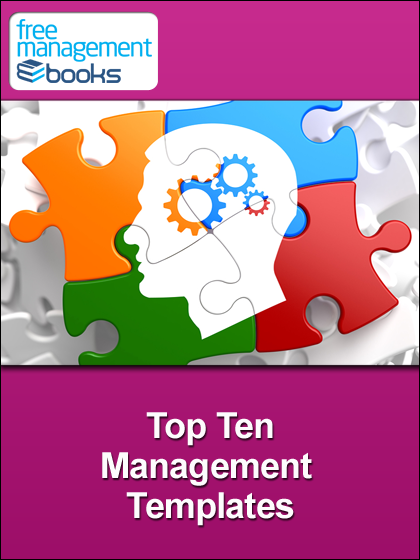 If you are serious about improving your time management strategies then download these free eBooks, checklists and templates for your PC, Mac, laptop, tablet, Kindle, eBook reader or Smartphone. This eBook explains the ten rules of successful delegation that will motivate and empower your team. This eBook explains how to protect yourself from interruptions and still maintain a good relationship with your colleagues. This eBook explains how to choose the best productivity tools and describes how to use them to get more work done. As a busy manager you need to squeeze more out of your working day. Our Productivity Skills eBooks can help you to make the most of your time as well as making sure that you get the best out of your team. 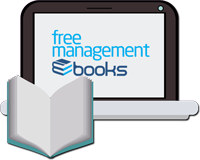 Download these free eBooks, checklists and templates for your PC, Mac, laptop, tablet, Kindle, eBook reader or Smartphone. Interruptions cost valuable time as you get back into what you were doing. Reducing interruptions and staying focused will increase your overall efficiency. Divide your day into times when you are, and are not, available. Maintain a good working relationship by making time for your colleagues. Arrange future appointments rather than breaking your concentration. Develop a clear but polite way of communicating that you are busy. How much time did you spend dealing with interruptions? What proportion was important or unavoidable? What were the main causes, and do they conform to a recognizable pattern? Use voicemail to screen calls or ask colleagues to handle queries. Set a limit to the time you are prepared to spend on any call. Body language can make it clear that you expect the interruption to be as brief as possible. Avoid asking unexpected visitors to sit down, remain standing throughout the meeting. See the full list of Productivity Skills eBooks, templates and checklists available for free download right now.